Trader Vic’s, a restaurant chain created in the mid 1930s, has a rich and unique history. When I went to review the Las Vegas restaurant, located in the Miracle Mile Shops at Planet Hollywood on the Strip, I came away with more than a terrific dining experience. I got a history lesson about the remarkable namesake from Mike Emizawa, who worked with the business for more than 43 years and knew the founder in his early years. The late Victor Jules Bergeron, who later became known as “Trader Vic,” is a fine example of how a person with a disability can become tops in his field. Bergeron had Tuberculosis and lost a leg in his childhood. But through the inspiration of his father, a French-Canadian who worked at the Fairmont Hotel and owned a grocery store in the San Francisco Bay area, he learned the culinary arts. Bergeron was verbally teased and taunted and came from a background of modest means. His family could not afford a prosthetic wooden leg for him. Even worse, he was treated without compassion by many in his school and neighborhood. Through his determination and working from an early age as a gas station attendant, he saved and purchased his own wooden leg. He continued working a series of jobs around the area, but he always had a fascination for the tropical regions of the world. Combined with his love for foods and the exotic places he wanted to travel, he created a lounge and restaurant called Hinkey Dinks and opened it across from his family’s store. It started when he saw an old shack in Oakland, Calif., and decided to turn it into what became a popular place for drinks and socializing. Shortly after it started, Bergeron came up with the ingenious idea to create what he called a “happy hour” with free appetizers, which boosted his business tremendously. So, in a way, he was doing a type of trading with his customers, and hence earned the nickname “Trader Vic.” He became so successful in his business that he moved from North Oakland to San Francisco and adopted the Trader Vic name for his restaurant. He was a true restaurant host and an entertainer. He performed card tricks and small feats of magic. 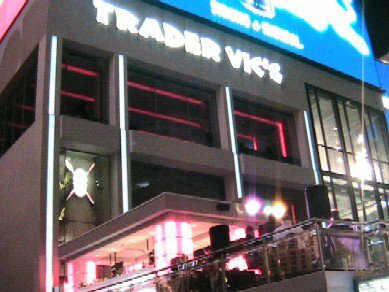 Trader Vic did things differently, unconventionally and with his own trademark style. For example, he opened his San Francisco restaurant on a side street and the entrance was off and alley way. Many thought he was crazy for opening there. He took something in an industrial, not-so-desirable area and transformed it into a tropical business paradise. With all this in hand, Bergeron’s was an aggressive businessman, but he had a strong compassion for helping people. He contributed to the veterans and other nonprofit organizations. In fact, he hosted so many veterans, including officers, in the city of Almeida that his location was used as an officers club. It wasn’t long before it became the official one in the San Francisco Bay area. Trader Vic’s success led him to incorporate and form an alliance with the Hilton Hotel chain in the 1950s. They originally managed his dozens of restaurant franchises that span the globe, including London, Kuwait, Qatar, Beirut, Germany and more opening all the time. Mike Emizawa, known as the ambassador for Trader Vic’s, has managed several of the chain’s properties, including San Francisco and Emeryville in California, Portland, Ore., and Tokyo, his birthplace. The Las Vegas franchise is owned by Doc Wainer. 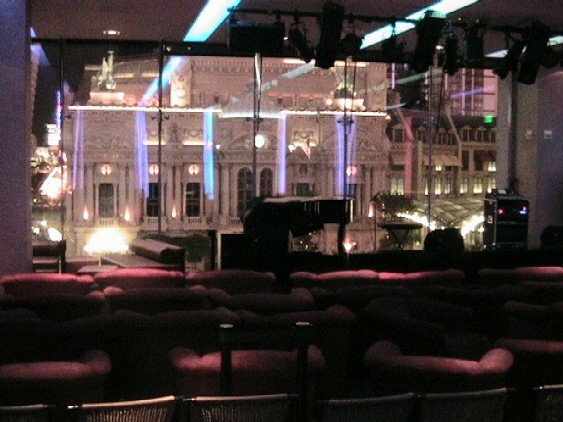 This location is two-stories with an all-glass enclosed, a patio above street level and a private VIP room above that overlooking the Bellagio Hotel and Casino water show. 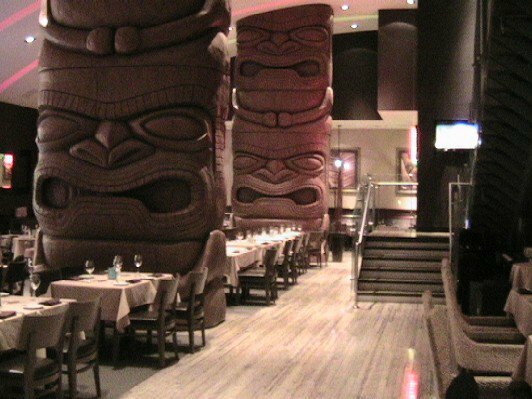 The decor is comfortable and contemporary, and there are no grass thatching or strung-up lanterns, but there are trademark carved tiki columns that convey the Polynesian flavor of Trader Vic’s. The mood is ideal for a romantic dinner or makes for a great family outing. While dining in the VIP under changing hues of warm, colored lights from the ceiling, my guest and I looked at the cocktail menu, complete with the Mai Tai, for which Trader Vic’s is famous. One of the smooth and refreshing drinks for summer is Trader Vic’s Passion, mixed with gin, passion fruit nectar from down under and lime. Another popular cocktail is the Rum Keg, which serves four and is made with pineapple, light and dark rums, flavored with apricot and passion fruit – and it’s only $22! They have chocolate drinks, such as the Kona Cooler, made with orange, pineapple and cranberry juices, along with passion fruit. In other parts of the country, Trader Vic’s is famous for its Hot Buttered Rum, which is spicy and not overly sweet, perfect for cool nights and winters. In addition, to the extensive cocktail menu, there are dinner drinks, such as Nut and Berries Frangelico and Chambard Liqueurs that range between $7-10. Executive Sous Chef Jeff King recommended wonderful selections from the creative menu. We tried Lobster Pot Stickers with pan seared dumplings with soy dipping sauce, along with Spiced Calamari, which was tempura fried and served with wasabi and aioli. Those appetizers and the Crab Rangoon with a smooth cream cheese wrapped in wonton were all excellent and affordably priced from $7-10. Our main entrees were Mahi Mahi, Swordfish and a classic Filet Mignon. The fish is flown in fresh and it was cooked to flaked perfection. The meat was Omaha Beef and tender enough to cut with a fork. The dessert, Creme Brulee was flavorful and not too sweet. The fruit desserts were great, too. The entire meal was presented beautifully and the portions were just the right size. The restaurant has an area available for private and corporate functions or buyouts. Call (702) 405-4700 or visit the website at www.tradervicslv.com. CSN rates Trader Vic’s a 9.